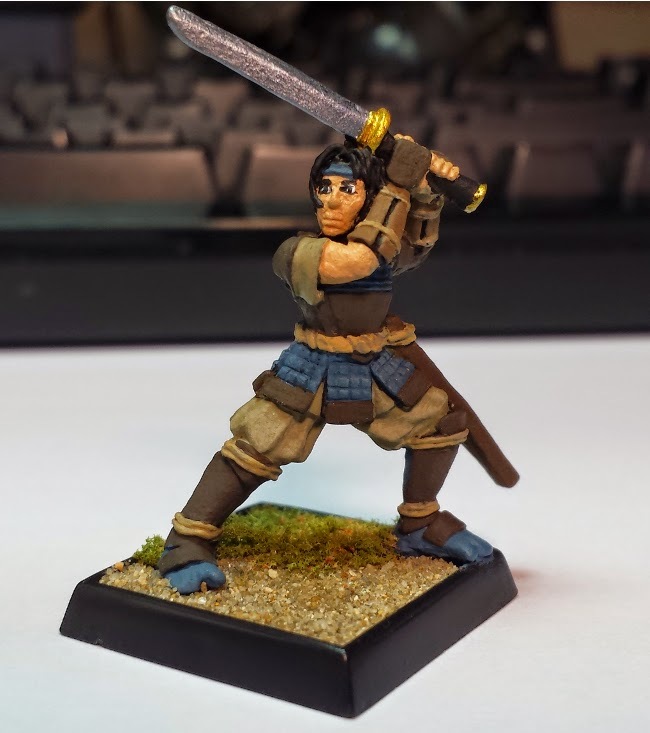 1st Ed AD&D Oriental Adventures introduces several new classes to replace the Western class of the standard game. One of them is the Bushi, which is a generic fighter in the campaign setting. 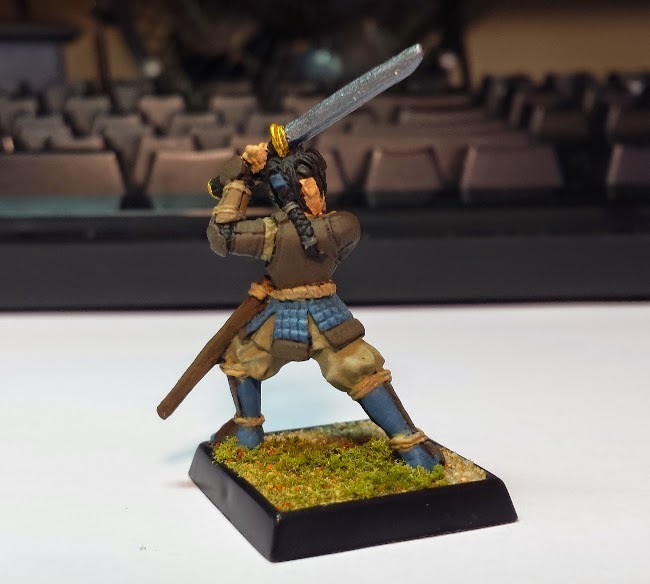 This Bushi was painted for Oriental Adventures Game 3 to be used as a wandering warrior who joins the party.